A one-piece that's a statement on its own. Raga jumpsuit. Dogeared earrings. Alex and Ani bracelets. Rope the Moon bracelets. 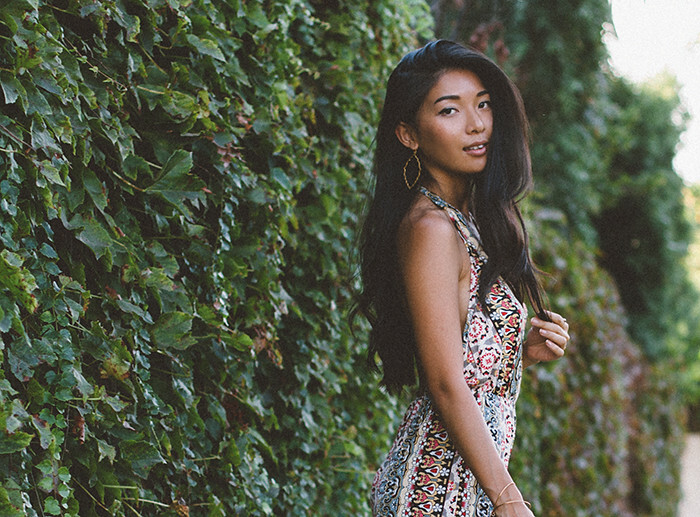 Probably the best fitting, most playful printed jumpsuit to make a 100º saunter worth bearing. hey Stephanie Liu :) you're rocking it! i would too hehe! I've just discovered Raga. thanks! Hi Stephanie! I just found your blog while searching for reviews on this jumpsuit. I'm trying to decide on the size I should go with... would you mind sharing your height and the size you chose? Thank you so much! It looks amazing on you!